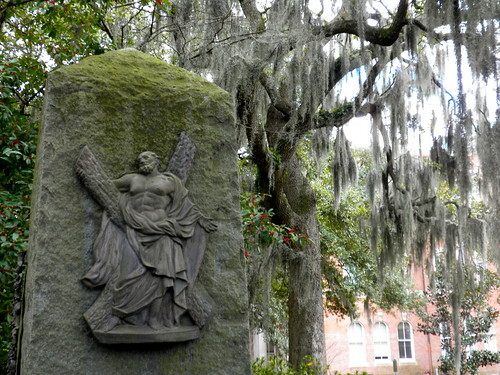 A monument was placed in the median of Oglethorpe Avenue at Bull Street in 1987, to honor the Scottish forbears of the St. Andrews Society chapter in Savannah. The monument is an Elberton Blue granite obelish, with rock pitched finish on the obelisk and steeled smooth finish on the base. The 8’10" obelisk is on a 4′ square base, 6 inches thick, which is on a 7′ square base, 8" thick. This is supported by a below ground 8′ square concrete foundation, 18" thick, covered by 2" thick granite pavers. The total height is 10 feet. On the obelisk are iron emblems taken from the St. Andrews Cemetery Lot in Laurel Grove Cemetery. Spider-Man Unlimited – New VIP TItan Pulls – With Audio Commentary!